From the moment you walk in to our modern office, you’ll know that you’ve come to the right place for state-of-the-art care. At Herman Family Dentistry, your family’s health and safety are of the utmost importance to us. Dr. Eric Herman, Dr. Lynn Stine, and Dr. Karen Schenk and their caring team of professionals will treat you like one of the family. When you make an appointment with a Vincennes dentist, you expect only the highest quality care for all of your oral care needs. Healthy teeth and gums mean a better quality of life for all of our patients. 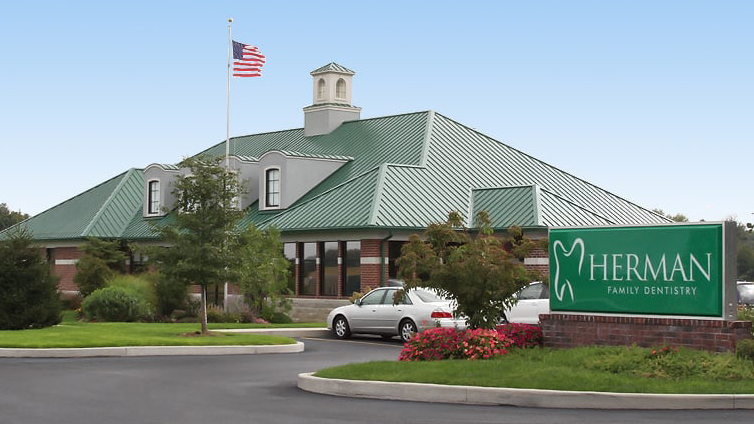 We’ve accumulated more than two decades of experience in the Vincennes area, and we can handle a number of procedures for tooth replacement as well as sleep disorder dentistry. Our staff is committed to continuing education and training, and we stay up-to-date on the latest developments and treatments in the industry. This commitment enables us to keep up with state-of-the-art amenities and technology. We work to keep your stay as gentle and comfortable as possible.